HEICO SPORTIV, the official partner of Volvo Car Germany GmbH, has unveiled their latest V60 tuning program at the 2011 IAA Frankfurt Auto Show. The new Volvo V60 D3 wagon showcases the individuality that HEICO SPORTIV is known for along with new tuning technology that takes steps towards a greener future. The HEICO SPORTIV Volvo V60 D3 features a new plug-and-play module for T6 tuning but with a green twist. Called the e.motion 2.0, the module improves performance and efficiency by giving drivers three different selectable modes by pressing the HEICO Performance Button (HPB). In “Eco” mode, the HBP is illuminated green and the engine management system focuses on providing the best fuel economy and low emissions. In “Sport” mode, the HPB turns white and the T6 engine gets boosted to 330 horsepower. “Performance” mode makes the engine more responsive, creates a broader torque curve, and sharpens performance while turning the HPB blue. The T6 tuning package is completed with a four-pipe stainless steel exhaust system that gives the wagon a baritone sound. The HEICO SPORTIV Volvo V60 D3 isn’t your parent’s Volvo wagon. This sleek Scandinavian wears a polyurethane (PUR-R-RIM) body kit that gives its smooth lines a bit of an edge. The kit includes a two-piece front spoiler, rear apron with diffuser finish, and carbon fiber inlays. Both the front and rear axles wear Volution VII 8 x 19 wheels in a Black Diamond Cut matte finish with Pirelli 245/35 R 19 tires. The entire wagon is lowered by 30 mm using a sports suspension upgrade for better handling without sacrificing ride quality. Behind the new wheels and suspension upgrades sit HEICO SPORTIV’s newest brake system. 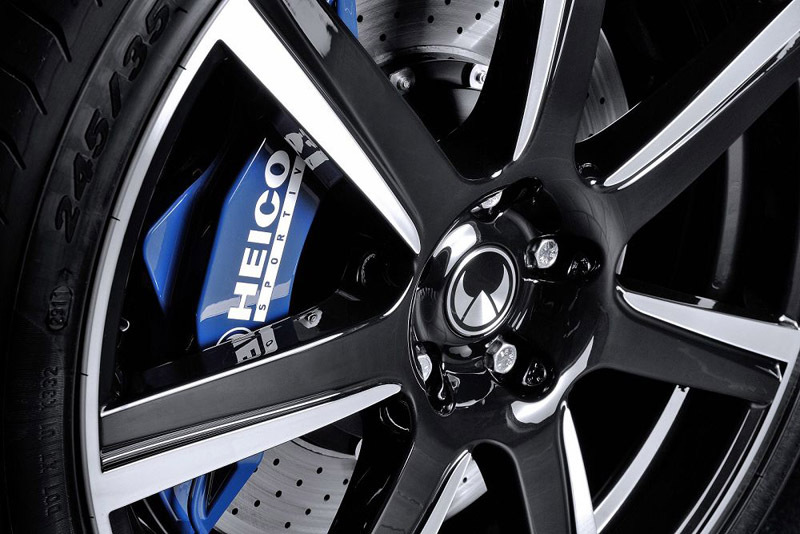 Wearing a blue lacquer finish with HEICO SPORTIV logo, the sports braking system provides deceleration values over 10.35 m/s2. Six-piston aluminum calipers clench down on perforated and internally ventilated 370 mm discs to provide unrelenting stopping power on the road or racetrack. The interior of the V60 D3 is a warm and inviting atmosphere of soft leather and alcantara. New sport seats have been installed and now boast larger leg rest areas and firmer contours for comfort. The center console, door panels, dashboard, and seats all wear Chestnut leather while the roof is given Chestnut alcantara upholstery. 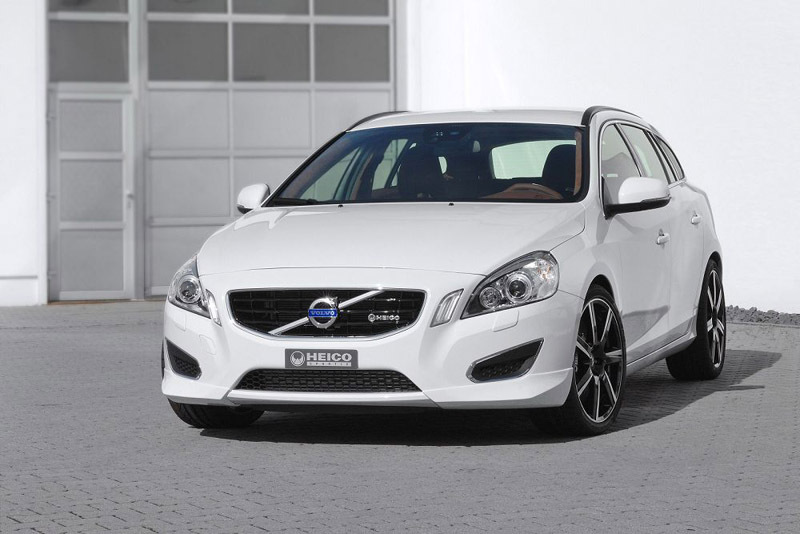 The HEICO SPORTIV Volvo V60 D3 is currently available from the German tuning company. All of the products can be ordered individually or as a complete package. The e.motion 2.0 comes standard with a 60-month warranty (country specific) and TÜV certification. 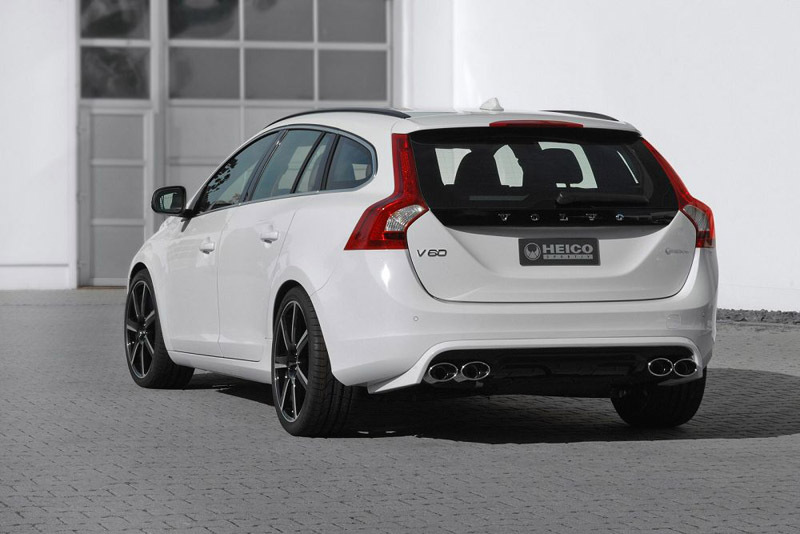 Is the HEICO SPORTIV V60 D3 a sporty Volvo you would drive? Leave a comment and let us know!